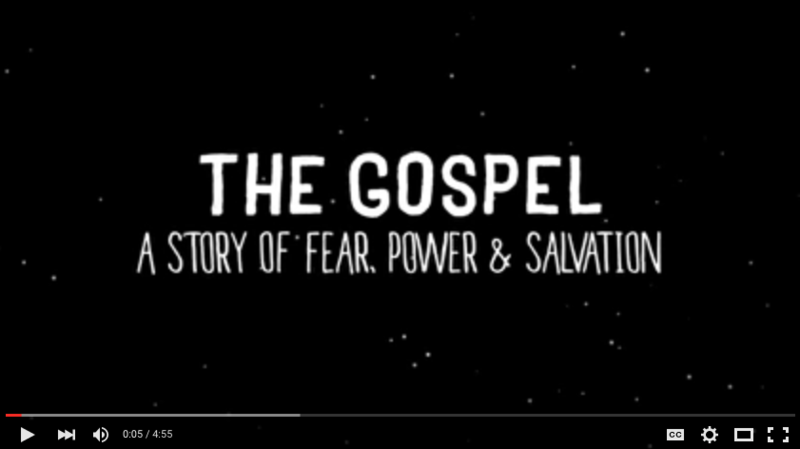 This short video visualizes the biblical story in fear-power terms, and could be a great teaching tool. A special thanks to Tim Brand of Many Hands For Haiti for this, and the original Creole version. Readers of The 3D Gospel have asked for such a resource, so I’m excited to pass it along. The Bible is the best starting point for understanding fear-power (and honor-shame too!). Here is a list of key verses to prime the pump. Some Biblical Stories: Exodus (Ex. 15), Elijah (1 Kg. 18), Jesus’ Temptation (Luke 4), Gerasenian (Mark 5), Ephesus (Acts 19), Warrior (Rev. 19). Tremper Longman III, “The Divine Warrior: The NT Use of an OT Motif,” WTJ (1982) is a biblical theology of the motif. The book by Longman and Dan Reid, God is a Warrior, is a first-rate biblical theology on the topic. Tom Julien, The Three Princes: Lifting the Veil on the Unseen World explains the Bible’s meta-drama in relation to the spiritual realm. Clint Arnold, 3 Crucial Questions about Spiritual Warfare sets forth a biblical theology on spiritual warfare. His Magic and Power in Ephesians is an academic book about the animistic/occultic background and meaning Paul’s letter. His Powers of Darkness is an accessible Pauline theology of the spiritual world. All of Arnold’s books are mature, evangelical, biblical scholarship. Others: Graham Twelftree‘s books examine the historicity of the supernatural in the NT. Walter Wink has several books about modern “principalities and powers.” Greg Boyd has theology works about God’s battle against evil and Satan, e.g. God at War: The Bible and Spiritual Conflict. Here is a nice summary post from Boyd. Paul Hiebert’s classic article “The Flaw of the Excluded Middle” explains how the Western worldview has a blind spot in this area. Academic, but great insights. Neil Anderson and Timothy Warner, Beginner’s Guide to Spiritual Warfare (Ventura, CA: Regal, 2008). Very practical, clear, and helpful. Hiebert, Tineou, and Shaw, Understanding Folk Religion and Van Rheenen, Communicating Christ in Animistic Contexts are probably most helpful for missionaries wanting to study the topic in depth. When re/searching, be aware that “fear-power” has several other handles, such as: “folk religion,” “animism,” “excluded middle,” “spiritual warfare,” “power encounter,” “power evangelism,” “deliverance ministries,” etc. Authors on these topics cover a broad theological spectrum, so be discerning. A visual evangelistic presentation called “Two Triangles”- with an explainer video. This is really great. A post about using warfare metaphors in evangelism. Neil Anderson’s booklet 7 Steps to Freedom in Christ is a practical workbook for guiding people to spiritual freedom, a great discipleship tool. There is obviously more available, but these are some starting points. Has anyone done any thinking or writing on what Fear/Power culture looks like in a developed context? Seems like people who are oppressed or exploited have a lot in common with animistic paradigms. If you look at race and gender predjudice and the kind of conflict mentality that results, you can see a lot of the same kinds of responses, not to powers in the spiritual world, but in the physical world. Let me know if there are authors or resources out there… Thanks! Kurt, good question and interesting idea. No, I don’t know of any authors or resources off hand. But, your comments did make me wonder if “liberation theology” is an attempt to address those very issues. So, that might be a starting place. What got me started on it was the focus on #blacklivesmatter at Urbana last year. I’d like to run these concepts past some folks involved in that movement, though need wisdom on how to do it in a way that is appropriate and honoring. Good thought about liberation theology… I’ll keep working on it.